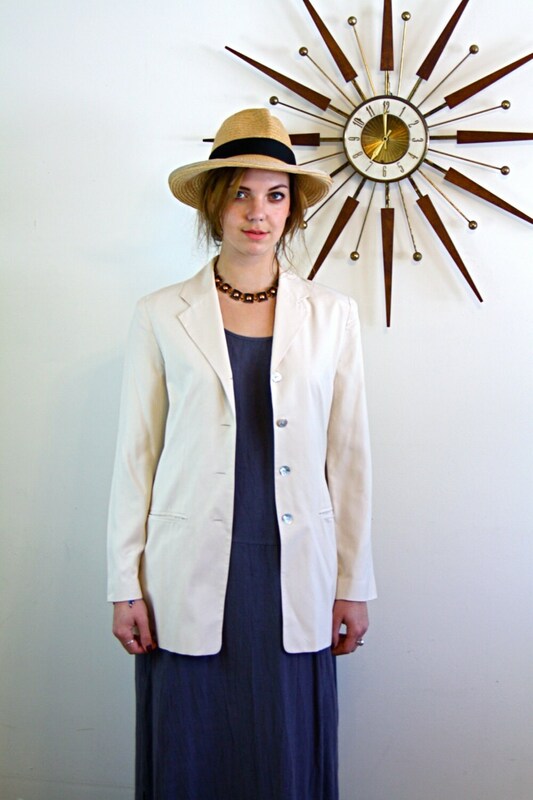 This long simple cream vintage silk blazer is to die for! 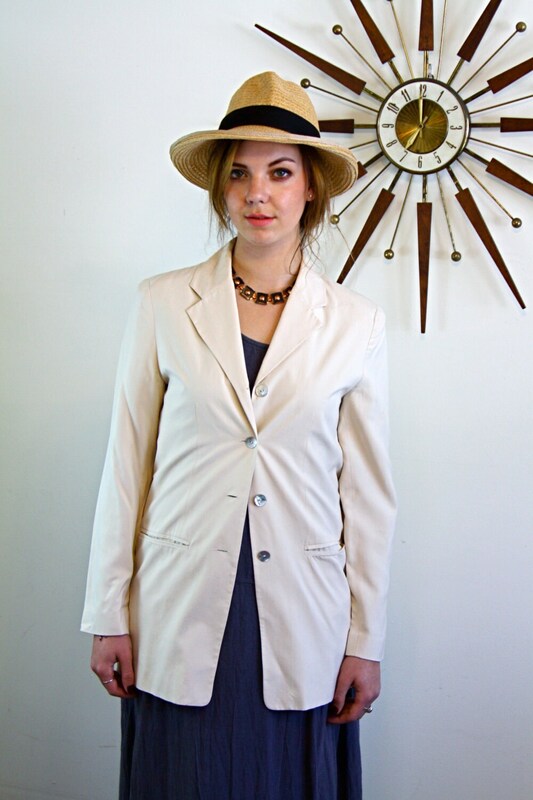 This is a light weave 100% silk jacket by SILK COLLECTION. 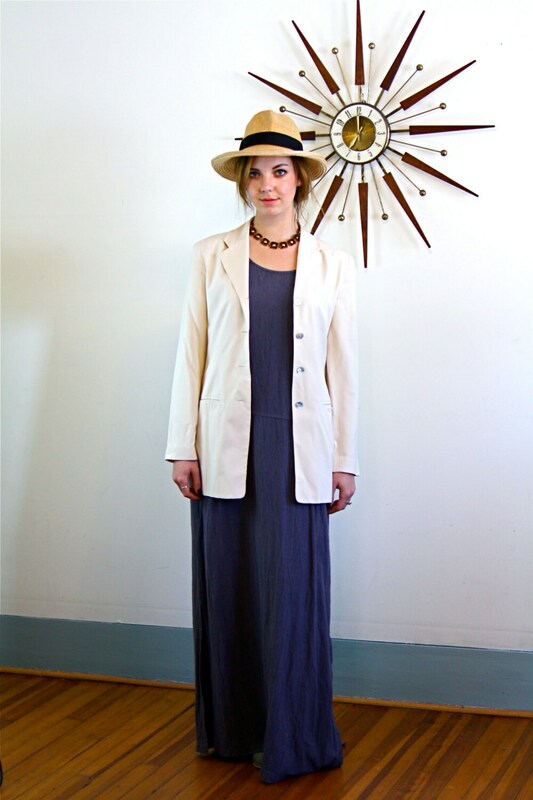 The color is off-white, ivory, two front pockets (still sewn closed), and big mother of pearl buttons. 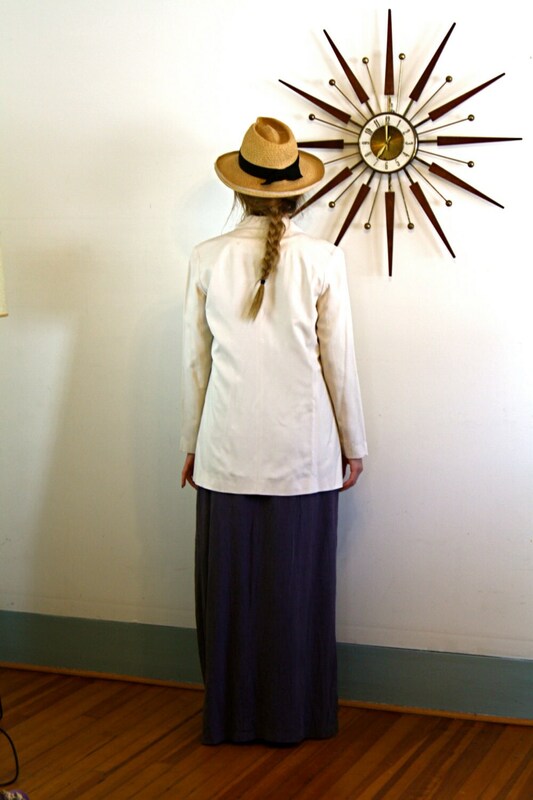 The jacket is quite long and is the perfect minimalist look! CONDITION: Fabric is in excellent condition! Missing one button... Lost after photoshoot!